This briefing is based on the research of Samir Singh Nathoo, the Community Development Officer at Arsenal in the Community. 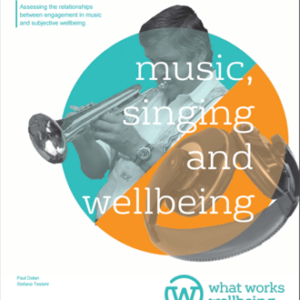 He conducted his research at our Centre in 2016 as part of the Clore Social Fellowship. 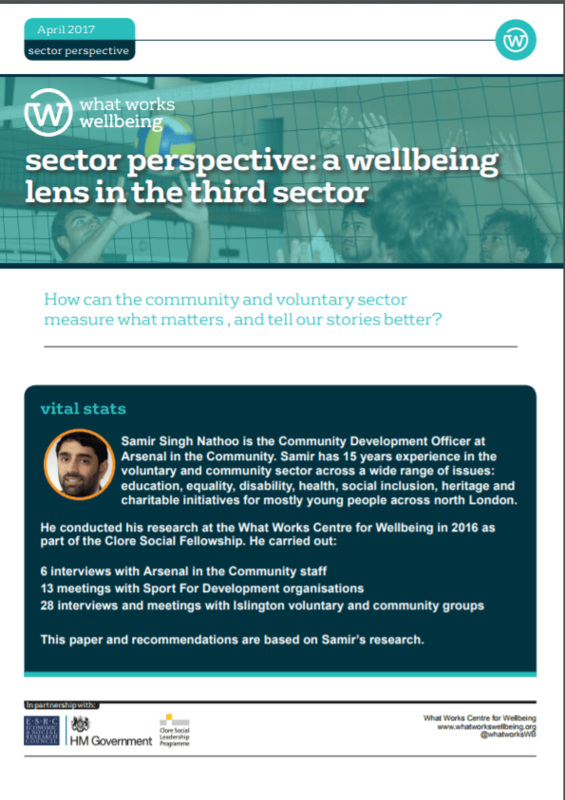 Based on his findings, Samir shares why it’s important that the community and voluntary sector start measuring wellbeing impact, in its various forms, alongside ‘traditional’ outcomes, like employment rates.